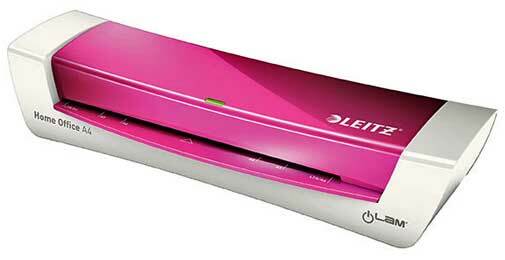 .Hint - Click on the "pic" to see additional detail or use Ctr F.
Roll lamination film is commonly seen in schools and print shops. Roll lamination is great for high volume lamination and for large documents or posters. 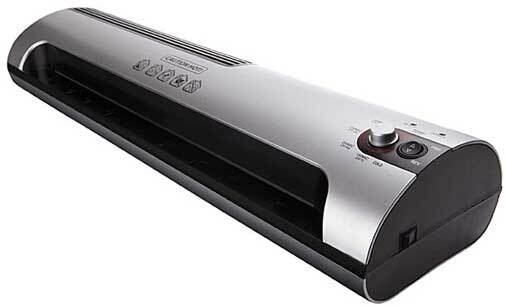 Roll laminators use two large rolls of lamination film. 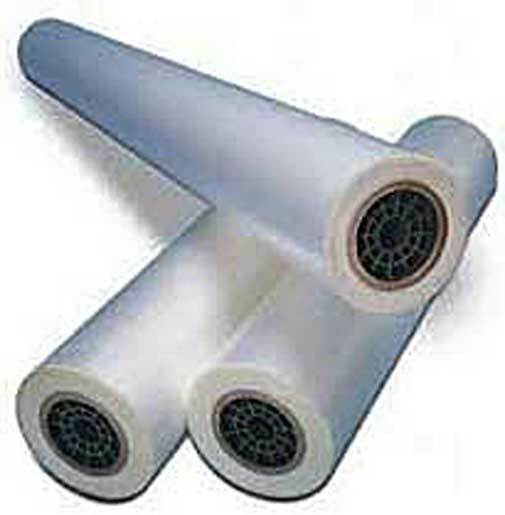 The rolls of lamination film look very similar to a large roll of Saran Wrap. 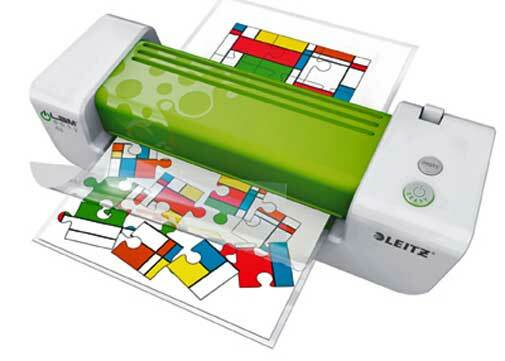 One roll of lamination film is usually mounted on the machine above a second roll of lamination film. 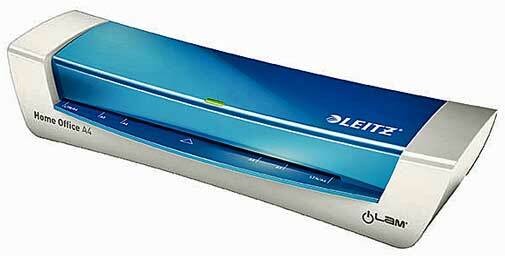 The top roll laminates the top side of the document, while the bottom roll laminates the bottom side of the document. 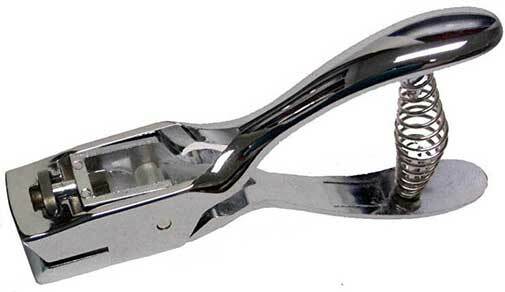 After a document has been laminated, scissors are usually needed to cut the laminated document from the machine. 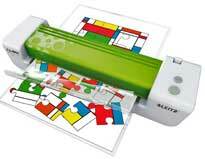 the lamination that sticks to the document while being run through the laminator. You have to be careful when loading new film into a roll laminator. may cause irreversible damage to Teflon-coated parts, which are costly to replace. 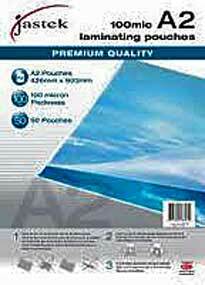 Standard Clear Film - Standard Clear Film is the most common form of film used for lamination. Standard Film is imported from overseas. 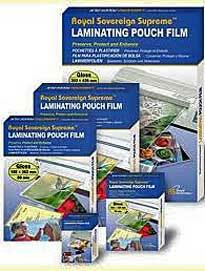 Matte Film - Matte pouches have a slightly granular, frosted texture to reduce glare. Due to their texture, these pouches will accept pencil, pen, marker, and reduce smudging. 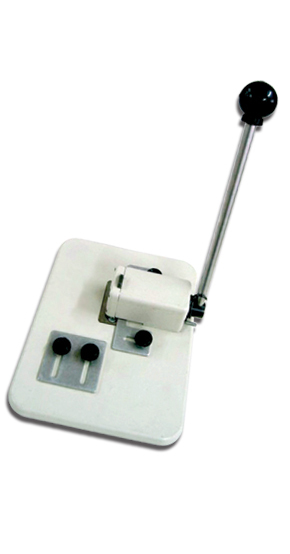 Excellent for both indoor and outdoor applications. 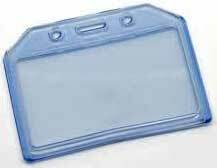 Pressure-Sensitive Pouch - Pressure-Sensitive Pouches have a sticky backing. the back can be pealed off and stuck to surface.